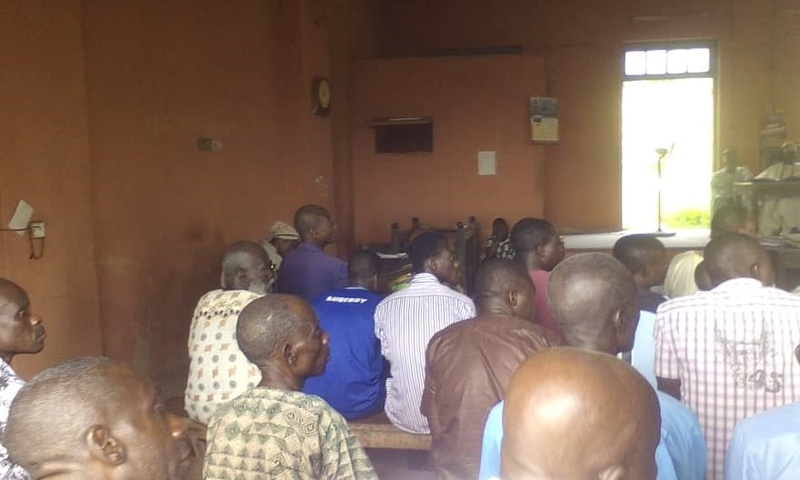 Jimoh Kazeem, a motorcycle operator in Erin Osun, Osun State had filed a divorce suit against his wife Tawa Kazeem who is a herbal medicine seller in Ibadan. He also demanded for custody of their four children who have been in her care since she left him three years ago. He got his wish on Friday when the Grade C Customary Court Oja Oba in Ibadan dissolved the 16-year-old marriage between Jimoh and Tawa. But things turned dramatic immediately the judgement was read as Jimoh started begging the court not to dissolve their marriage again. Suddenly, he realized what he wanted was for the court to help appeal to his wife not to desert him because he has turned a new leaf. This was a man who previously complained to the court about how his wife left him for no reason and collects money from him excessively. "Whenever we have any misunderstanding, she goes back to her parents’ house with the children, and I always have to give her money so as to return back home. "She demands money from me like an ATM machine whenever there is crisis between us and her parents are not helping matters at all. "She left my house about three years ago and whenever I talk to her about reconciliation she rains curses on me instead." "I left him because he beats me up on any slight mistake I make or whenever we have any issues. And whenever he beats me, I go back to my parents’ place for safety because whenever he starts his trouble, nobody dares interfere. "When my parents saw his attitude, they concluded that probably it was because he didn't pay any dowry on me that's why he behaves unruly towards me. My parents then told him to bring his people and they gave him list of what he should bring as an in-law which he did but that didn't make him stop his beatings. "It became unbearable and I had to run for dear life. So, I have been in Ibadan for the past three years and he has remarried after I left him," she said. Jimoh got further exposed when it was revealed that he initially had two of their children with him, but they absconded from Osogbo to meet their mother in Ibadan, thanks to their father’s maltreatment. The man, however, got a second chance after promising to sign an undertaken not to ever beat her again. Court president, Odunade Ademola asked Tawa if she was still interested in her husband, and she said she needed time to study him to know if truly he has changed. The case was thereafter adjourned to give room for reconciliation.